Recently, ID&T brought over TomorrowWorld to America, and with them they brought along the hard dance nation so we know the hard dance sound, hardstyle in particular, is bubbling up now for an explosion. On that note, we had Audiofreq give us 10 essential hardstyle tracks, and we&apos;ve shown you some cuts from Dim Mak-signee Coone (and we told you to see them both at TomorrowWorld), too. Beyond that, we decided to reach out to Dutch act Wildstylez, one of the foremost hard dance DJs in the world. 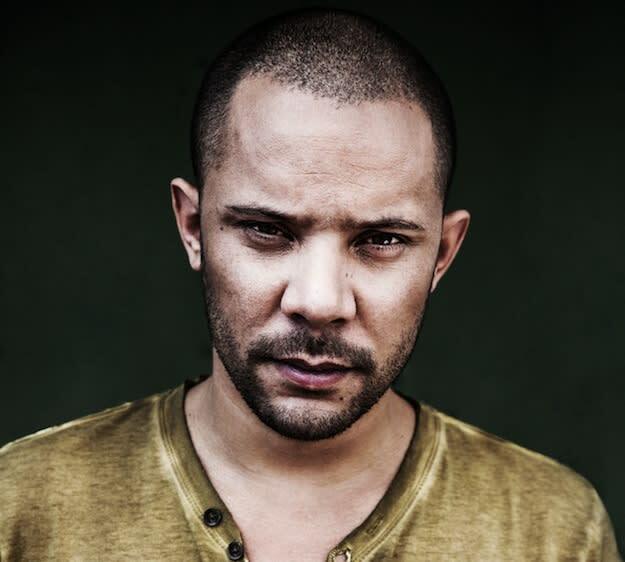 Joram Metekohy (Wildstylez), born in Veenendaal, Netherlands, has been on the hard dance circuit for a hot minute. With his first official release dating back to 2007, Wildstylez has developed his own particularly melodic, vocal signature yet aboslutely hard-hitting sound leading to headlining festival stages and monster recent remixes for Nicky Romero and Krewella&apos;s "Legacy," and Hardwell, Dyro & Bright Lights&apos; "Never Say Goodbye." Collabrations with fellow hard dance heavyweights like Headhunterz, Noisecontrollers, D-Block, and Stefan have made him a hot commodity and he&apos;ll be a name to watch as the hard dance scene readies for their moment in the spotlight. We got some time with him so he could answer some questions about himself, the hard dance scene, and more before he took the TomorrowWorld stage. What or who is Wildstylez? What does it, or you, stand for? Wildstylez is me and is actually one person (some people think I am with two of me, haha). Wildstylez stands for music in the harder styles and always trying to develop and grow further musically. If I knew nothing about you, what would be the first track of yours you&apos;d play for me? Where does the name Wildstylez come from? That was suggested to me by a good friend. When did you make the decision to start DJing? That came naturally, actually. After I released a couple of single the request for DJ gigs came quickly after. My interest in dance music actually started after I visited a huge trance event in the Netherland, named Trance Energy. This awoke my interest in producing myself. What drew you to the hard dance sound specifically? What does the term "hard dance" mean for you? For us in the Netherlands, we link this term to another music style which is coming from the UK. It’s different than what we do. What does the term "hardstyle" mean for you? Good quality music with a harder and raw edge. Who have been your biggest musical inspirations/influences, both in and out of the dance music scene? As a world-class DJ, you&apos;ve travelled the world and played at festivals, clubs, and crowds of all sizes. What&apos;s special about a crowd at one of your shows or any hard dance show? In your opinion, how does this differ from crowds for, say, techno or house? Is there any particular crowd that sticks out to you as being particularly special or symbolic of this? Luckily the harder styles crowds are fantastic all around the world. Can’t pick out one fave really. Speaking of other crowds, as a DJ and a member of the hard dance nation, you&apos;ve seen many of your house, trance, and bass contemporaries take part in the North American EDM explosion while until now, you and the larger hard dance community have been largely left out of it all until recently. What insight or perspective have you gained from your vantage point? The vantage point is that people are now more than ready for it. They got a good first taste with the first EDM wave, and now it’s time to step up a gear! Have you ever been tempted to start producing house or bass music so you could cross-over to the US markets a la Showtek? I would never start making music with the goal to crossover. The music I make is what I stand for. I’m always pushing myself to reach new levels musically, but I will never adjust my music from a commercial point. Where do you see North America going with the hard dance sound? I haven’t thought about this. Let’s go with the flow and see where it will lead to. Now it seems you wouldn&apos;t even have to as you&apos;re also on the bill for this fall&apos;s TomorrowWorld Q-Dance stage, as well as The Sound of Q-Dance in LA making you part of the first official wave of DJs to bring the sound to the US on a large scale. How does that feel? It feels good to be part of of the first TomorrowWorld festival ever in the US. What kind of impact do you think hard dance can have in the U.S.? Too early to say now, I believe, but hopefully it will be all positive. What do you think most people might not understand about hard dance and hardstyle? The first reaction is always that the beats and sounds are too aggressive. When they start listening the second reaction is always that it’s very musical, well produced, and they start liking it more. What other DJs should new hard dance fans check out? What hard dance DJs do you think we should keep an eye out for? Max Enforcer. He’s been around for a while, but his new music will blow your minds! Although there&apos;s definitely more than just hardstyle in the hard dance genre, it&apos;s definitely gotten the most attention with names like Flosstradamus have sampling and remixing the sound infusing it with trap. Your contemporaries were split on this, some publicly angry while some were happy. What was your initial reaction to that situation? It shows that all genres inspire one and another, which is a good thing in my opinion. As a producer and DJ, what do you think of the fusion sound itself? I see this as a positive thing. Fusions can lead to something new and fresh. What kind of affect, if any, do you think that&apos;s had on the overall popularity on hard dance in North America? Perhaps because the sound has been evolving and has become more accessible for many. Have you ever thought about making trap or any other genres outside of hardstyle? Not yet. I listen to a lot of different music including dubstep and trap. Haven’t produced it myself so far, but I listen to it for inspiration. If you did, would you do it under the Wildstylez name or a new project? Haven’t thought about it yet, actually... Style of the wild! I’ve just launched my label, Lose Control Music, which I’m very excited about. My latest single, named "Lose Control," was done together with Max Enforcer, and next up is his solo single, "Lost In Paradise." There will be lost of new music from myself coming, so really busy, but exciting times. Something I would like to know, too!